At Protect-A-Child, we have always been concerned with providing the highest level of safety and customer satisfaction. In 1991, we partnered with Shakespeare & Co. to create a strong, composite fiberglass post that was sturdier than any aluminum post on the market and incapable of becoming bent or crooked. Extensive testing took place drawing on Shakespeare’s years of composite engineering experience in the marine industry. The result was a post of superior strength that would not become bent or corrode. It even had the color built in rather than painted. As composite technology advanced, continual improvements were made leading to today’s guaranteed unbreakable, unbendable solid-core fiberglass posts. Now, with more than 23 years of composite post field experience, our entire product line features these top-of-the-line composite posts. 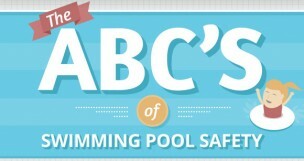 Your child’s safety and your satisfaction are our top priorities. This is why we only offer you the most superior mesh pool fence available. Why Did We Offer Aluminum Fencing in the Past? Removable mesh pool fencing was originally developed in the 1960s in a shorter 42″ height. This fence used hollow aluminum tubes as support posts. As one of the first manufacturers and distributors of these early fences, we gained a great deal of field experience with aluminum tubes of all types. Increasing popularity and taller fence heights highlighted the strength limitations of even reinforced aluminum posts. The primary need for fence repair was caused by broken and crooked aluminum fence posts. Broken posts left fences unsafe, while crooked posts made them look worn and unsightly with loose and floppy mesh. As years went by, corrosion of the posts also became a problem, especially, for salt water pools. Different methods of strengthening the aluminum tubes were attempted with various designs, such as X and Y extrusions. 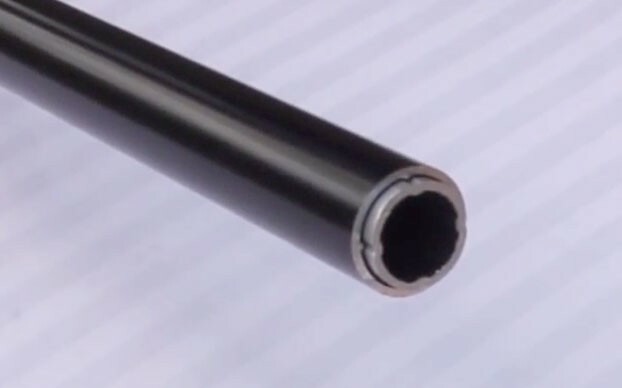 We were the first with strengthening inserts in early aluminum post designs such as PVC and aluminum rods. While strengthening helps, it does not eliminate the problems of breakage, corrosion, or bent posts leading to crooked fences. Even the strongest aluminum designs will become bent and crooked under relatively minor stress. As such, distributors spent too many hours running service calls to replace these broken or crooked posts. It is doubtful you will ever have one break – but if it did happen – you probably wouldn’t notice. First, because it will stand back up straight with no appearance of breakage unlike aluminum posts that will become bent or snap clean off. You will find it remains fully in one piece unlike aluminum posts that will shear off leaving the pool open for children and metal edges exposed up from the deck and extending down from the base of the broken post. There will be no broken fiberglass exposed. Any breakage would be internal and fully encapsulated within the outer veil. Only close inspection would reveal tiny longitudinal cracks along the sides of the still straight post. Any thin outer cracks in the post remain 100% behind the mesh where they cannot be touched. Now, you’ll find that our solid core composite fiberglass fence post’s strength and resilience are just two of the many reasons your family gains extra benefits with a Protect-A-Child safety fence. Learn more about all of the benefits of our strong posts on our fiberglass fence post page. Whether your child is bouncing off the fence or a friend leans against it at a barbecue, you can be sure it will resist the force and continue to stand straight, tall and taut. This is a major advantage over aluminum fencing which can become bent with just a minor strain. Once an aluminum post is bent, it becomes crooked and may even break if attempted to straighten it. This leaves you with an unattractive —or worse— unsafe fence. Our composite fiberglass posts have 23 years of proven success, giving you the confidence that they will keep your new mesh fence secure and looking great for years to come.